– I have wanted to create a graphic novel of “Peer Gynt” since I first read it back in high school. So when the publisher asked me, I accepted immediately, Geir Moen tells NRK. Originally, “Peer Gynt” was not supposed to be performed on stage. It was written as a narrative drama, but later adapted for theater and it premiered in Christiania (Oslo) in 1876. – I have seen paintings that among others, Theodor Kittelsen has drawn of Peer Gynt, and I have done lots of research to find out how he is portrayed, but I stayed away from drama productions, says the illustrator. It took three years before he found the right expression. – In the beginning, it had a brighter style but as I worked with it, it became darker and gloomier. I had to draw the first page four or five times before I was satisfied, says Moen and explains that it usually takes two weeks to complete one page. Illustrating a classic novel was a new challenge for Moen, but along with colleague Øystein Runde he has worked with Ibsen before in the graphic novel “De fire store” (The Four Great) – referring to the four great Norwegian authors Henrik Ibsen, Bjørnstjerne Bjørnson, Aleksander Kielland and Jonas Lie. – He is a mix of a friend of mine, myself and Alexander Skarsgård. But his personality is of course Peer Gynt’s. In recent years, Minuskel Publishers have released several translations of graphic novels based on classics. Among them Kafka’s “The Trial” (1925), Dostoyevsky’s “Crime and Punishment” (1866) and Joseph Conrad’s “Heart of Darkness” (1899). – When working with these novels, I thought we should do something similar with the major Norwegian classics, says Alexander Leborg in Minuskel Publishers. Thanks to screenwriter David Zane Mairowitz, they chose Ibsen. – David was very interested in working with “Peer Gynt”. He has a background in theater and has previously written plays based on Kafka’s “The Trial”. Mairowitz adapted and shortened Ibsen’s text so Geir Moen could use his version as basis. 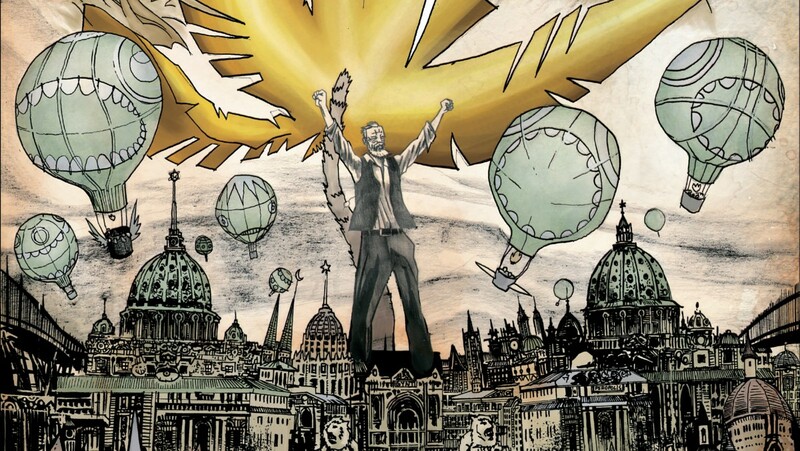 – The graphic novel intrepid Ibsen’s text in a different way than theater because you can draw all the spectacular things that are products of Peer’s imagination, Leborg concludes. 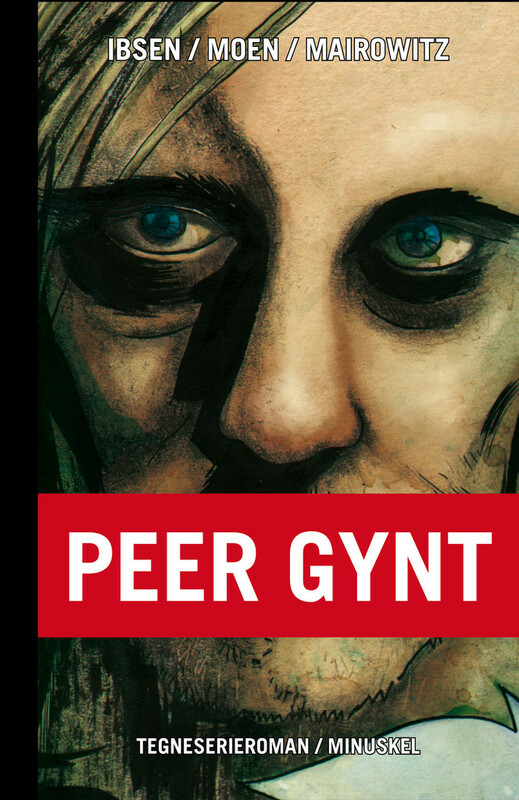 The graphic novel “Peer Gynt” was released on 15 September.